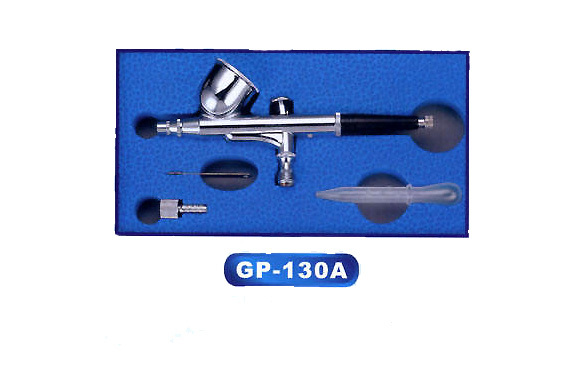 Precise-machined nozzle hand piece with color cup side-detached or fixed-on type gives convenient drawing and steady perfromance. Pre-set adjustment assures fine line width and even spray. Two-stage push-botton control allows fine and thick patterns drawing by regulating the air. Suitable for any artwork, such as photo-retouching, fine drawing, illustrations, precise crafts, hobbist, plastic models by application of color inks, water color, lacquers, design color, acrylic color, etc.